Do you live in Sidney or Greater Victoria? Are you interested in giving back to your community and learning about the Salish Sea at the same time? Win, win, right? Greet our visitors and help them explore the habitats and marine life of the Salish Sea. We provide the training you need to answer questions about our marine life. It’s the knowledge and friendliness of our volunteers that inspire our visitors to return again and again. We usually require a commitment of one year, working at least 5 hours per month. Each shift is 2.5 hours and includes a short enrichment/briefing session so you can learn something new, or update your knowledge on our animals and their habitats. All current members in good standing can put their names forward to sit on our board. We currently have a full allotment of 13 board members (see details here). If you are interested in future board involvement please contact ed (@) salishseacentre.org for more information. Assist our Animal Care Team and ensure we showcase our live exhibits and marine creatures to the best standards at all times. You will be trained to assist our well qualified aquarists in caring, feeding and cleaning habitats for all the animals in our care. * Must have at least 40hrs experience as a Volunteer Naturalist. If you love working with children or adolescents and are available during school hours, consider becoming a School Programs volunteer. Help our Education staff deliver curriculum focused school programs from preschool to grade 12. You choose the level of instruction at which you are comfortable. We are flexible and all training is provided. Are you looking for something to do this summer but don’t want to make a commitment for the whole year? Then this the right program for you. If you are 13-18 years old, you can apply to work as a youth volunteer naturalist, talking to visitors and learning more about your Salish Sea. We do ask for a minimum commitment of 5 hours per week plus attendance at our New Volunteer Orientation. If you are 13-18 years old and are are interested in volunteering with us on an ongoing basis you can apply to work as a volunteer naturalist, greeting and educating visitors in the aquarium. 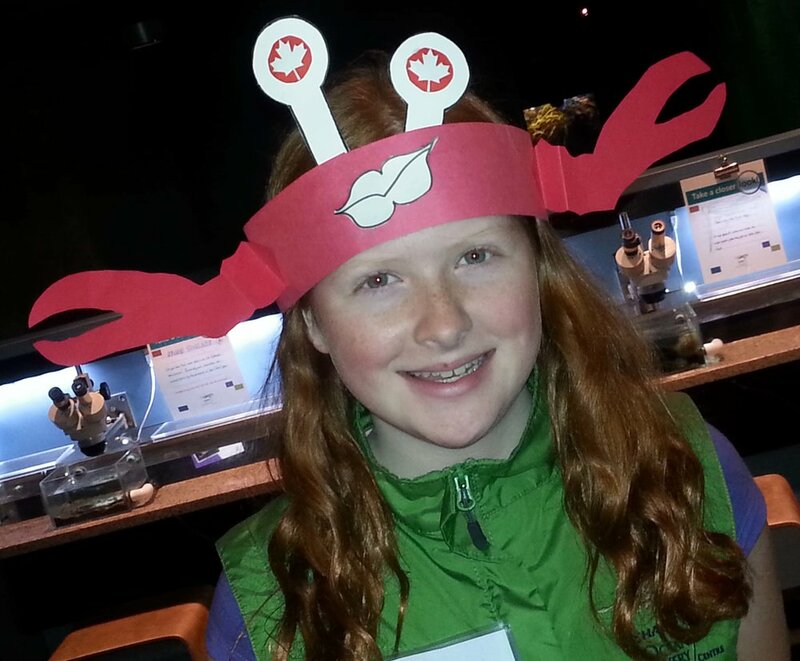 Learn about the Salish Sea Bioregion and have fun doing it. This is a great opportunity to build interpretation and public speaking skills, volunteer hours for school and future work references! We provide all the training. For this opportunity we ask for a minimum commitment of 60 hours per year (5 hours per month) plus attendance at our New Volunteer Orientation training session. A waiver must be completed for youth volunteers (13-17 years). All adult volunteers must complete a criminal record check (no charge).